This is the 2nd edition of the TransAtlantic Youth Go Match. This event provides the opportunity for youth players on both sides to get top-level playing experience and make new go friends. 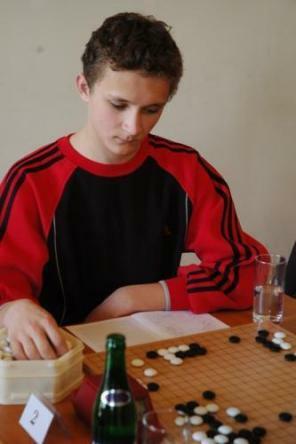 The tournament is organized as a team match with ten players per side, with players being invited to by their national or continental go associations. Games were played in the Transatlantic Youth Go Tournament room on the KGS go server on April 18, 2010. Games were played with ING rules, with time controls of 30 minutes main time + 10 moves/5 minutes Canadian-style overtime. There was an interesting discussion on Godiscussions since North American representatives are mostly not native players (from Asian descent) on the other hand almost all European players are native players. cuetzpalin: "I wonder why North American representatives are mostly not native players, whether they are nationalized, or maybe from asian descent (I don't know if any of those young players were born in North America)... shouldn't AGA and CGA encourage national talent instead of pushing only asian players? The past World Student Go Oza qualifiers were open to all the qualifying players, and for some reason there were almost no players from north america, but an asian one. To me, this is a clear sign that participation of asian players actually discourages native north american players." 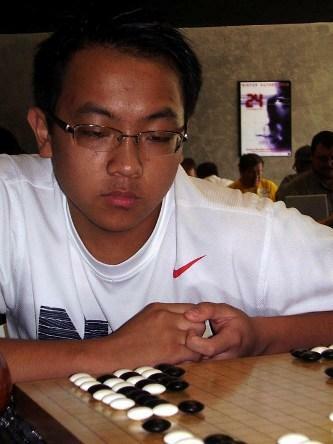 I believe it's to USA playersвЂ™ advantage that they have a lot of strong Asian players such as Jie Li who are close to professional level to compete with but AGA should also encourage native players. Otherwise there will be no motivation for native players to study Go seriously (even professionally) if they canвЂ™t compete against players of asian origin and win major tournaments.